The car gets a 1 liter-3 cylinder turbocharged, direct injection petrol engine, which Maruti calls BoosterJet. This motor makes 120 Bhp-170 Nm, and will be offered on the Baleno RS. A 5 speed manual gearbox is standard although international markets do get a 6 speed automatic option. A front wheel drive layout is standard, and so are ABS and twin airbags. The car’s likely to go on sale in India from Diwali, as Maruti’s flagship high performance offering. Considering the car’s light weight construction, which is a few hundred kilos lighter than that of the Punto Abarth, Maruti engineers are said to working on making the Baleno RS quicker than the Abarth badged car. So, a sub-9 second 0-100 Kph sprint may be in the offing. Knowing Maruti Suzuki, a cracker of a price tag is likely for the Baleno RS, which will make it India’s truly affordable hot hatchback. 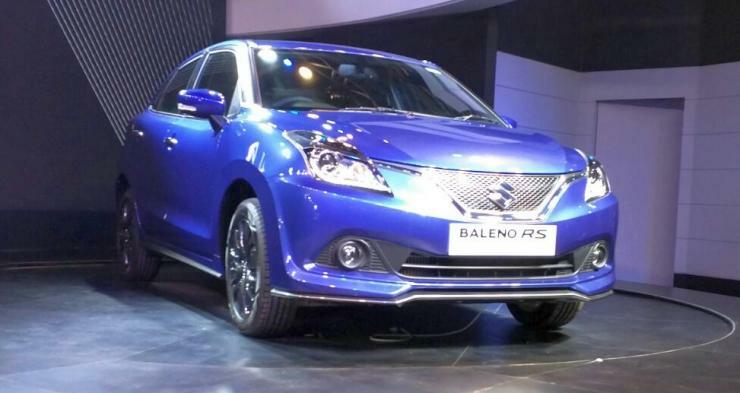 Expect the hot hatch to retail at about 50,000 rupees more than the current Alpha petrol version of the Baleno. Apart from the Fiat Punto Abarth, the Polo GT TSI will be another rival of the more powerful Baleno. Hyundai, it’s now time for you to bring out the N badged version of the i20 Elite.